Box-office star Sarah Geronimo was cast as the lead actress of the Philippine adaptation of the South Korean Movie hit "Miss Granny". The South-Korean comedy drama film was first released in 2014, it was huge box-office hit in South Korea with 8.65 millions tickets sold. After it's huge success in South Korea, The movie had its Chinese, Vietnamese and Thai adaptation and now a Filipino adaptation. "Miss Granny" film is starred by Korean actress Shim-Eun Kyung, she showed the story of a woman(Oh Mal Soon) in her 70s who magically finds herself in the body of her 20-year-old self after having her picture taken at a mysterious photo studio. 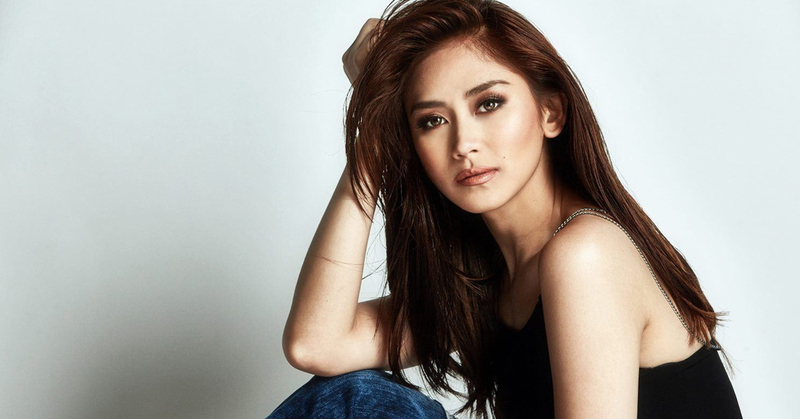 Looks like Sarah will continue to have a very busy 2017 cause after she wraps us filming her movie "Dear Future husband" with actor John Lloyd Cruz, she will start filming "Miss Granny" as it was announced that the movie will be released in November. Are you excited for this film adaptation?